A lot of people do not know it, but it is actually very easy to void your HVAC warranty claims. You wouldn’t want to find out that you made a mistake and winded up forfeiting your warranty after the fact. HVAC systems are not cheap and they are machines that are made of complicated parts. 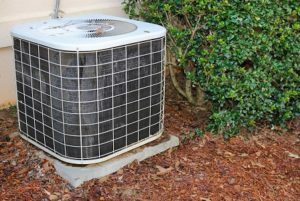 You have to learn how to be proactive and understand the many different ways to maintain your HVAC unit along with the manufacturer’s warranty that comes with it. Listed below are three ways that you may accidentally void your HVAC warranty. The correct HVAC maintenance is important when it comes to making sure that your unit runs efficiently and lowering the risk of unit breakdowns. However, it will not just decrease the possibility of breakdowns by as much as 95% and cut down your energy bills by as much as 30%, it’s likewise a prerequisite for your manufacturer’s warranty. The majority of warranties require the HVAC system to be installed, fixed, and maintained by a licensed HVAC contractor only. If you believe that you will get to save some money without scheduling annual HVAC tuneups by a professional, you might be in for a rude awakening. Schedule your HVAC tuneup now if you have not done so already. Regardless of the company you hire like Florence HVAC Experts, don’t forget to keep a record of your maintenance visits as you can use this for future warranty claims. You might be asked to present a written documentation of your customer service visits. So, in case you have misplaced your documentation, you have to consult your HVAC company first. It is important for you to schedule annual maintenance with the help of an HVAC contractor Florence not just because you have to meet the warranty requirements but also for safety, comfort, as well as energy savings. You have to hire a professional and licensed HVAC contractor to repair and install your HVAC system. If you try to save a few dollars by using the cheapest installers and parts may put you at risk for much higher breakdowns, safety problems, inefficient, operating costs, and even a voided warranty. You should also be careful of part timers as well as “handymen”. A few good red flags to watch out for include non original equipment manufactured or non-OEM and off-brand. Be sure that you hire a technician who is bonded, licensed, and insured. Don’t forget to do your research before you choose a technician to install or repair your unit. Generally, you have to register your warranty within 60 days after your unit is installed. You can do this online, by phone, or by mail. The warranty covers a minimum of 10 years. Be sure that you have the proof of purchase form your HVAC contractor. What’s important is you don’t forget to register your new HVAC unit as soon as possible. Call Florence HVAC Experts so you will have the peace of mind knowing that your HVAC warranty is kept in effect.